Continuing education calendar in 2019 online! The bipp in Cairo: FIT FOR LIFE as a contribution to the promotion of non-violent education in Egyptian state schools. 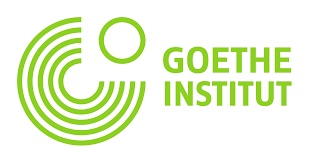 On behalf of the Goethe Institute in Cairo and in cooperation with the Egyptian Ministry of Education, the bipp held a three-day KICK-OFF event as part of the project “Non-Violent Education in Schools” from 12.11. Until the 14.11.17 in Cairo. 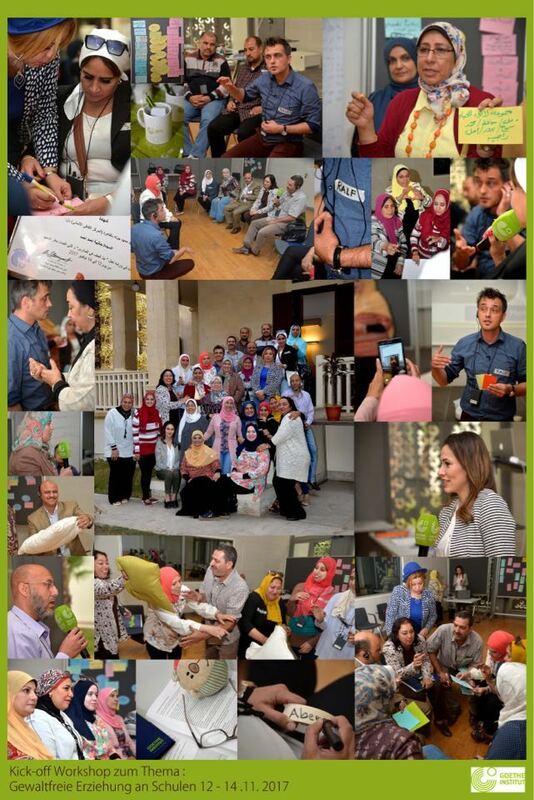 With 20 Egyptian school social workers from state schools, the FIT FOR LIFE-SOZIALTRAINING FOR JUGENDLICHE was presented and practically tested to determine the applicability and transferability to the Arab cultural area. After an intensive professional exchange, the participants came to a unanimous conclusion: The principles of the imparting of universal social skills, as well as the design and structure of the FIT FOR LIFE, can be achieved by making meaningful modifications with Perform Egyptian youth and implement them in schools. You are welcome to contact us for the content of the program. As part of the Lower Saxony National Programme against Right-wing Extremism-for Democracy and Human Rights, the State Prevention Council of Lower Saxony has passed through the University of Jena (Prof. Dr. Andreas Beelmann) had an expert report prepared (10/2017). The report summarizes the current scientific findings on the prevention of right-wing extremism and provides practical recommendations for the development of impact-oriented prevention measures. The bipp will, on the basis of FIT FOR KULTURELLE VIELFALT and under the scientific support of Prof. Dr. Beelmann, a training manual for primary level (3. And 4. Classes), which is to be distributed after the primary schools in Lower Saxony. 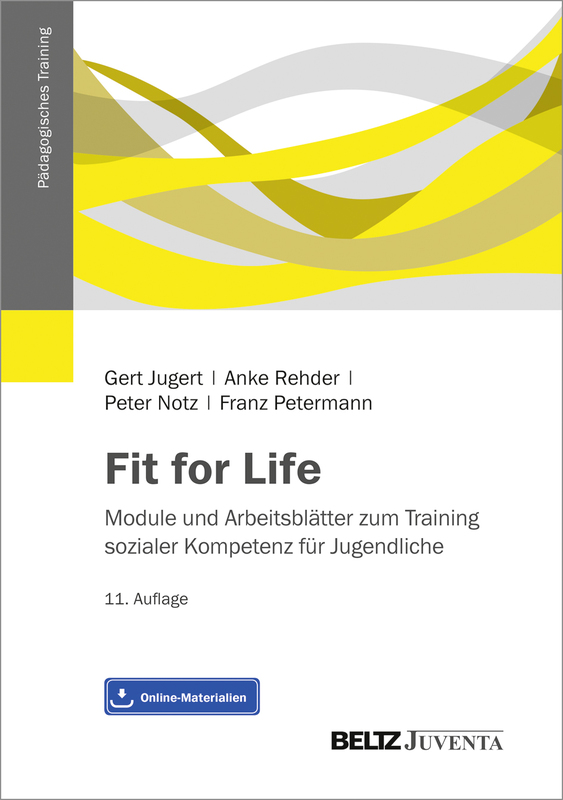 The new edition of the FIT FOR LIFE-Training of social competence for young people appears in a completely new and contemporary design. The action modules were also updated on the basis of our feedback from the practical experience and our training courses and thus improved. The manual is now available at a discounted basis as a softcover version and the working materials are available for download. The continuous and consistent development of this training of social competence for young people since 2001 ensures a first-class application quality. This training is proven in schools, youth vocational assistance, juvenile punishment and the clinical sector. In our training courses, you will learn from highly experienced experts in a practical way an effective implementation. Visit our training courses! 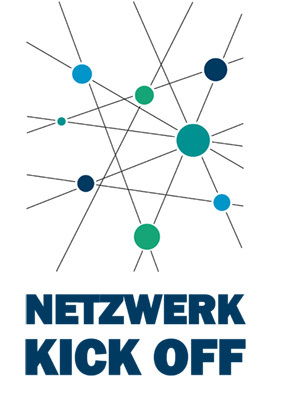 State and civil society actors are invited to jointly develop effective measures against right-wing extremism and for democracy promotion, which are to be structurally anchored in Lower Saxony in the long term. On the subject of prevention, a platform for knowledge transfer and professional dialogue between research and practice, the state and civil society will be offered nationwide. The bipp is active and presents the new “Fit for Cultural Diversity-Intercultural Competence for Young People” with co-author and developer Ms. Hedwig Jugert. For many years, educators and teachers in the tandem process have been successfully trained in the prevention programs “Behavior Training in kindergarten” and behavioural training for school beginners. ” Almost universal, these programs could be implemented in kitas and elementary schools. Among the questions “Is it worth promoting social and emotional skills in childhood and if so, what can it look like?” Numerous specialists and teachers from kindergartens recently met at the invitation of the Regional Education Office of Olpe County, Primary schools and health care at the 08.04.2016 in the Kreishaus. Is it worth promoting social and emotional skills in childhood and, if so, what can it look like? These questions were recently raised by numerous specialists and teachers from kindergartens, primary schools and health care at a technical conference in Kreishaus at the invitation of the Regional Education Office of Olpe County. With Prof. Dr Ute Koglin, a proven expert and developer of a behavioural training course in kindergarten, discussed forms and methods of targeted behavioural development. The fact that this is now proves how necessary this is. 20 per cent of all children show abnormalities in social behaviour. On the basis of numerous studies, the speaker was able to demonstrate impressively the effect of the targeted promotion of children at all ages and how important it is for their healthy development. Several workshops then addressed practical problems from everyday life: Which tools are available to meet the challenges of learning together, especially against the background of the immigration of children from different different levels. Countries? How can a continuous promotion of social skills be implemented under the changed conditions? 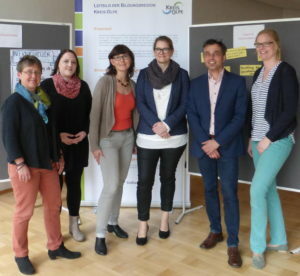 Experts from the Bremen Institute of Education and Psychology provided valuable suggestions and practical tips. In a final panel discussion, the results of all workshops were again under the question: How can behavioural support in the context of inclusion and integration succeed? Controversial. Quote from one participant: “I take many new impulses and insights into my day-to-day work.” Olpe County has been passionate about the continuous promotion of the social and emotional skills of children and adolescents for ten years. For example, targeted training courses for professionals and teachers from kindergartens and primary schools are held annually, organised by the Regional Education Office and funded by the four Lions Club in Olpe County. At the conference, it was confirmed once again that this is a correct and necessary way forward, because “day care facilities and schools are increasingly taking on educational tasks, which were, of course, carried out in the family in the past,” says Susanne Spornhauer, Head of the Regional Education Network in Olpe County.